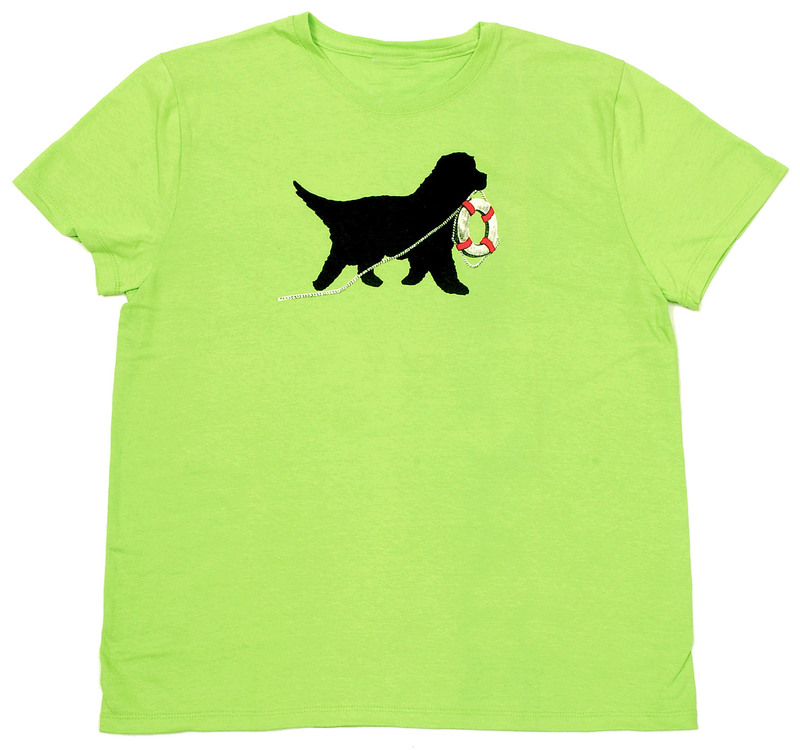 Honoring the water rescue abilities of our favorite breed, this women's tee has the Black Paw Studio Newf with graphic life ring image. 100% cotton. Available for the whole family!